Our First ever Planning Appeal Won! of residential and commercial properties along it. 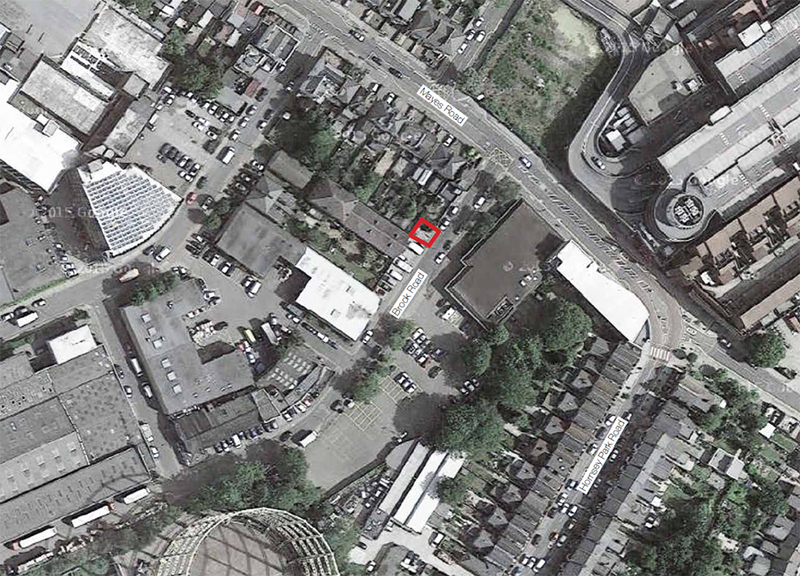 There is also a supermarket opposite the site and a music recording studio in the former church next door. The site is currently occupied by super run down garages. 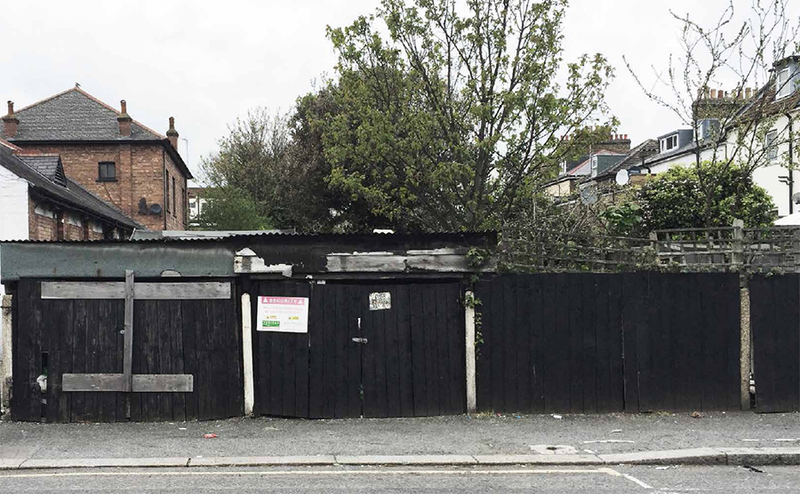 The proposed design looks to update and cheer up what are a row of very dilapidated Garages, The site does not sit within a Conservation Area nor is it a listed building. The buildings and secondary roads were predominantly laid out around the 1860’s. The area has a mix of properties from different eras including residential, industrial and retail spaces in close proximity to each other. Planning process and lessons learned. 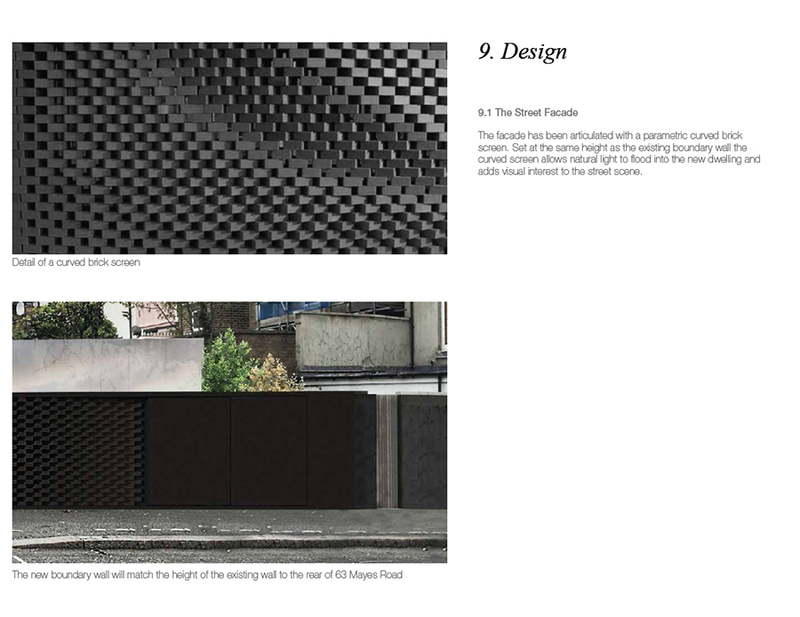 As part of the design process, the previous failed applications (more than one!) has been reviewed and assessed. This application in 2014 is shown opposite with reasons for refusal below. It should be noted that some elements of the previous schemes by other architects were supported by the Council but following review by Councillors was subsequently rejected. For this reason we believe that the Council is open to the possibility of development on this site, provided it can overcome the reasons for refusal detailed below. Reasons for Refusal previous schemes by other architects. Extracted from Planning Inspectorate Appeal Decision from previous scheme, (February 2015): 1. 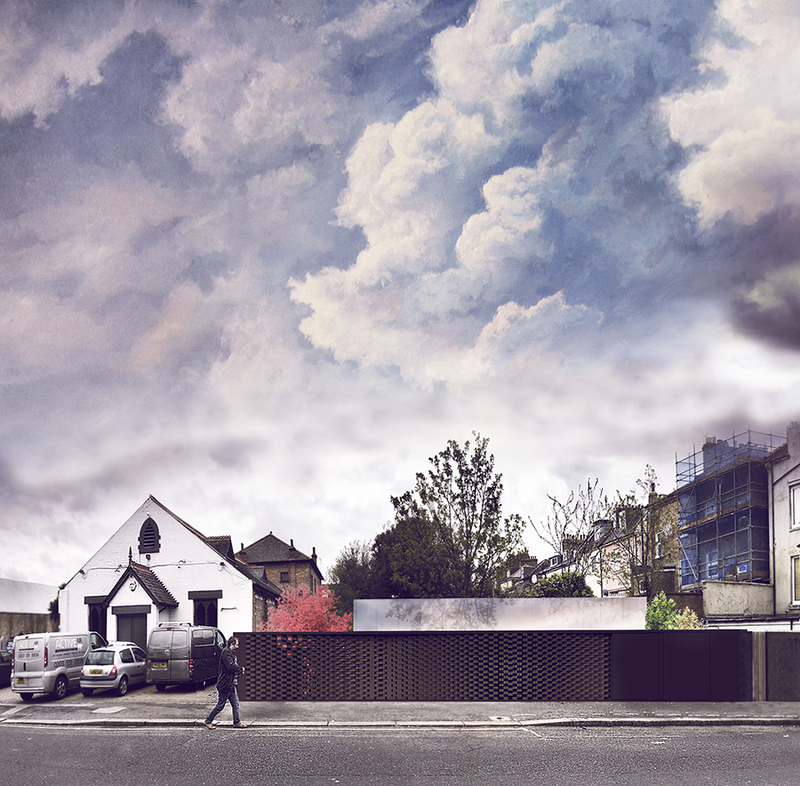 “The proposed development by reason of its siting and coverage of this small garage site, would represent a cramped form of development which would have an unsympathetic relationship with neighboring buildings and the overall street scene and overall would represent an over development of the original building and cartilage of Mayes Road. 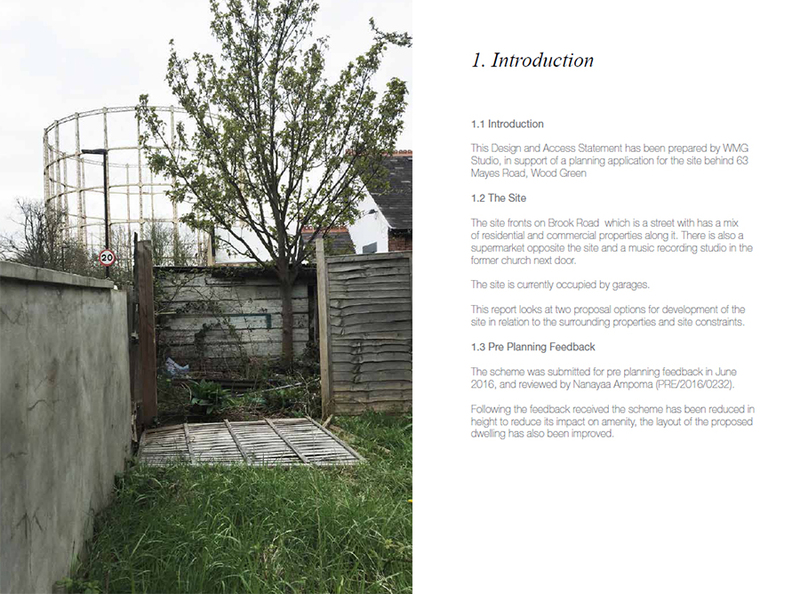 The proposal would also provide a poor standard of accommodation for future occupiers by reason of inadequate ventilation, natural light and outlook; contrary to policies 3.5, 7.4 and 7.6 of the London Plan 2011, Policy SP11 of the Haringey Local Plan 2013, Saved Policy UD3 of the Haringey Unitary Development Plan 2006 and is inconsistent with the Council’s Supplementary Planning Guidance SPG1A and its Housing Supplementary Planning Document.